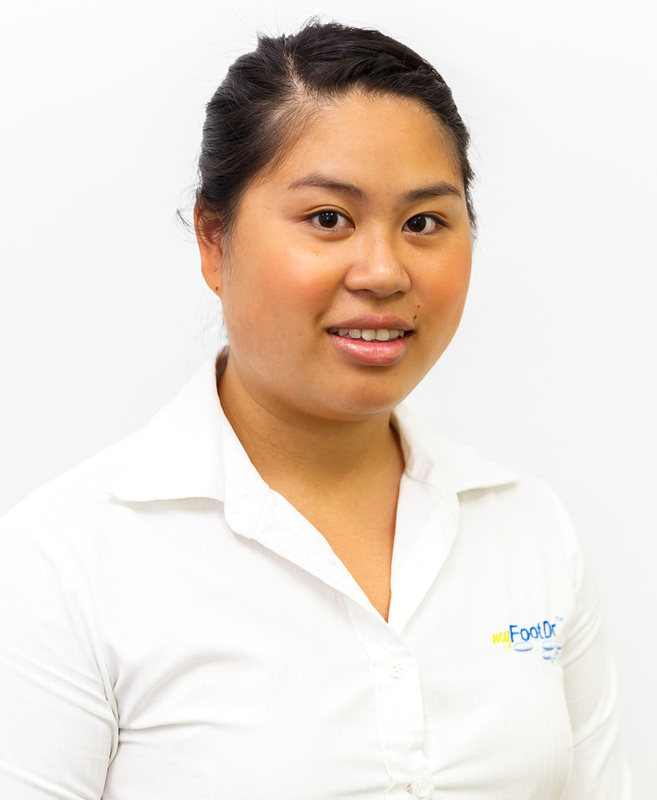 Vy has been a my FootDr administrative team member since 2010, and since graduating from the Queensland University of Technology (QUT), has become an invaluable team member of the Shailer Park centre as a podiatrist. Vy has since taken up a position as sole podiatrist at the Gumdale clinic. Vy is currently an active member of the Australian Podiatry Association (Qld), as well as the Sports Podiatry Queensland Group (SPQ). She displays a keen interest in all aspects of podiatry including biomechanics, diabetic foot care, minor surgical procedures and podopaediatrics. Outside of office hours, Vy is a volunteer podiatrist for a team at a local soccer club and enjoys participating in various sports such as tennis and volleyball. Vy is compassionate, bubbly, has a strong thirst for knowledge and with that aspires to be an affluent allied health practitioner for the my FootDr group and the community at large.